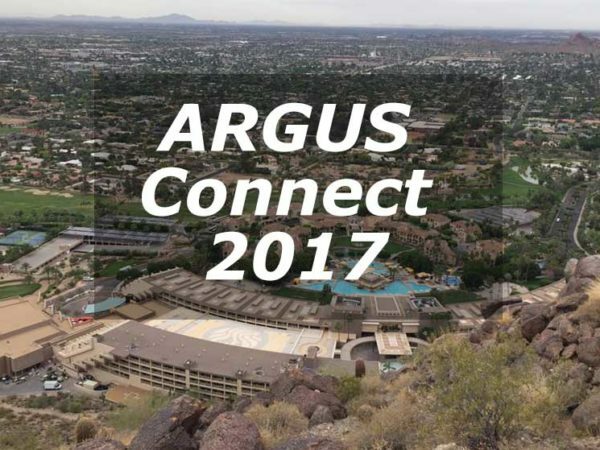 The leading provider of software solutions for the commercial real estate industry, ARGUS held their annual education conference to provide insights on global market trends, strategies to managing data and performance, and the latest developments in CRE technology and innovation. HingePoint attended to get certified on the new ARGUS Enterprise platform, which is the industry standard for many of our clients in real estate. And in construction and development, those projects are part of the bigger real estate pro forma and plan created by ARGUS. Critical to any real estate or construction business is maximizing the data and analytics from ARGUS and the suite of ARGUS and Altus Analytics products. If you missed the conference, here are the highlights and best elements this year. 1. CEO Bob Courteau – This was not your standard keynote by the CEO. Courteau laid out the plan of how ARGUS suite of tools will provide the data and analytics to help real estate business compete now and into the future. Staying on top of all the technology trends sweeping the business world, Courteau is no “old school” developer. Argus will keep you on top of the best tools to grow and run a profitable real estate business intelligently with data. 2. Peter Hinssen –As a keynote, Hinssen makes a compelling argument that you must not focus on today, or tomorrow, but the day after tomorrow, to know what technology trends will rock the real estate industry in the near future. Will drones, autonomous vehicles, mobile, analytics, robotics, data, and smart buildings affect the way you do business or the types of facilities the world needs in the future? He speaks of many technologies from our AEC 4.0 Industry Report. I’m going to read his book , which will be published June 22, 2017. 3. Sean Gourly –As a keynote, Gourly proposed that humans plus computers are better. Computers are better than humans at some things, but humans are better at others; better than a computer by itself or a human by itself is a team of computers plus humans. For example, weather prediction accuracy over time shows people plus computers are 16% more accurate than just computers, at every level of computing power. Gourly’s book recommendations on data analysis: Nate Silver – The Signal and the Noise; Pedro Domingos – The Master Algorithm, Leonard Mlodinow – The Drunkard’s Walk. 4. Waypoint – Waypoint had the best new product at Argus Connect. Waypoint offers a breakthrough collaborative tool that enables asset and property managers to more easily identify opportunities for NOI improvement. Designed exclusively for the Commercial Real Estate industry – the unique Waypoint application drives operating expense reductions that improve building performance, increase property values, and enhance investor returns. So many people guess at the industry averages for their pro forma planning. But with WayPoint, you get real data! For more details, watch this video: Waypoint Overview. 5. NOI Strategies, Tama Huang – Huang had some amazing comments on the panel discussion. What ever they are teaching is right! Tune in to NOI Strategies. NOI Strategies is a global consulting firm that is committed to helping real estate organizations achieve operational excellence. 6. ARGUS Enterprise Certification – while most software training is like pulling teeth, this training was incredible. The best training our team has been through. Amazing instructors, great training materials, hands-on computer based exercises and case studies. First class! Can’t want to have our team certified on 11.6. Next year is back to Florida, so stay tuned! On the beach, you can’t beat the atmosphere and location of this conference. You could consider attending just for the location alone. Need assistance using Argus or any other integrated solutions? We can help. 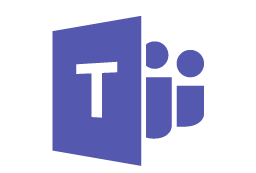 Whether you're working with SharePoint, Salesforce or Autodesk, integration is more critical than ever. As companies start using new collaborative tools and going into the cloud, integration is still a struggle. CIO wrote that about 90 percent of businesses are using the cloud. But initial integration is creating challenges. “Integration challenges remain long after organizations first make the jump to the cloud, it’s clear that the technology is here to stay. Businesses who ride out the current storm and find the right balance of public, private and hybrid cloud solutions will gain a unique advantage over the competitors,” according to CIO. Making your software and solutions talk to one another is critical. Here are three quick HingePoint examples of companies that needed an integration solution. CAD to BIM: A client used CAD files to build rental storage units across Texas. Everything was done with paper: the planning, the design, determining the rentable space in the building, and submitting construction documents. For each building this developer built, new CAD files were created. HingePoint took all the developer’s CAD drawings, put them in Revit and made a full 3D model the developer can view on their smartphone. Hotel franchise: A large hotel franchise had 12 old software platforms powering the en- tire company. The hotel franchise envisioned automating the design and construction process that operated perhaps the largest system of hotel rooms on the planet. The goal was to move everything to the cloud... and access all the information on a mobile screen. You can learn more from our Integrated Solutions eBook. Commercial Real Estate Developer: A real estate firm tracked the finances for more than 50 projects manually. All 50 project managers would collect key financial data from each project. They would put it into a PDF and send it to the CFO. The CFO team would then print the PDFs and put all the data into an Excel spreadsheet. Then they would make graphs and tables to see how the projects were doing. They would do this once a month. To solve this problem, HingePoint made one simple interface where the CFO can get the data instantly. Project managers just upload information to the digital financial dashboard now and the information is found immediately. 1 - Document the steps in your business process. Create a spreadsheet to capture the tasks performed and tools & systems used by each user/role active in the process. 2 - Research the data used in each step. Include the information found in each report, screen, or document used in the process. Create a data dictionary of all data fields and the system they come from (and who “owns” that data). 3 - Agree on the company “system of record” for each data point within each step in the process. the steps recorded and the systems involved. This step is key. The goal is to standardize the data formats and establish a comprehensive “data definition” that supports the business. 5 - Migrate all data directly into the “System of Record” and then integrate the down- stream systems into it. Make the system “share data” across the enterprise, not duplicate it. Note: This article first appeared in our The AEC Industry 4.0 Report. [post_content] => Imagine your computer-aided design automatically and seamlessly being manufactured with the help of a machine connected to the Internet, this is true computer aided manufacturing. Your design will begin “talking” to machines. Imagine everything is connected by the Internet and cloud. What this means is that a 3D BIM model can “talk” to a manufacturer’s machines. In theory, once information about the project is shared, the manufacturer’s machine can automatically start cutting or creating whatever is needed without human interaction. So a saw can be connected to the Internet and get instruction on what and how to cut materials based on your model. HingePoint provides AutoDesk, SharePoint and Salesforce consulting for the Commercial Real Estate and Construction companies. HingePoint also helps the AEC industry with development & integration of AutoDesk products with enterprise systems. As members of the AutoDesk Development Network, we are a trusted partner with over 25 years experience of systems development and integration work in the AEC industry. Our clients range from top hotel brands and restaurant chains to AEC firms and real estate developers and Facilities Management. We provide BIM with ROI. Results Guaranteed...Literally Guaranteed. [post_content] => Great companies that can harness the power of Building Information Modeling (BIM) are able to focus on the most important thing needed to be done. One way to do this is to get rid of or minimize busy work and redundant tasks, and giving you and your employees access to the information you need. The first three are somewhat easy to implement. But keep in mind that the final attribute is what most companies have the most difficulty accomplishing. Go Digital – To truly harness technology, you need to stop relying so much on paper. If you still have paperwork in your workflow, you’re missing huge opportunities to be more efficient. HingePoint has worked with head architects at well-respected real estate firms who are overworked because they still deal with paperwork. If you are manually creating Bill of Material reports, or relying on paper copies to share information, the time is now to move to digital. Check out our Bill of Materials app. Organize Your Data –The solution to go digital is extremely easy. But if you’re looking at many scans of many different types of documents, then simply making your documents digital will not help. We call this unstructured data or dirty data. Those who have tried digital and did not think it made things easier probably missed an important step of labeling, or they put the data in multiple servers. You need to structure and organize your data so it is easily findable. If you’re spending time looking for the right document or fact, then you’re wasting time when you could be working on what matters. Cloud and Mobile -- Cloud computing is Internet-based computing, where you can access shared resources, data and information on-demand. This information is stored on a computer or server that you can access through the Internet. Accessing the cloud with a mobile device gives you access to your entire business on the go. 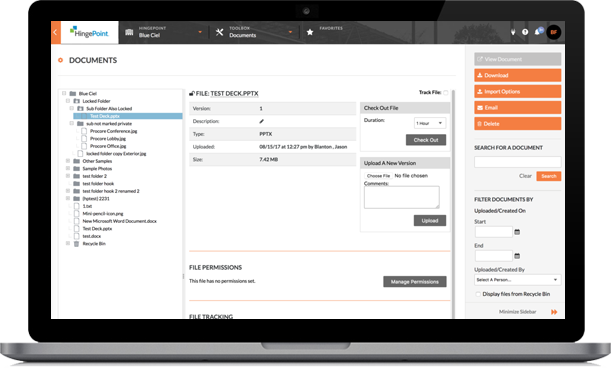 You can communicate and share virtually any document with anyone anywhere. Most companies are doing this… but the problem is the final attribute. Integrate your software – The final attribute is the most difficult. You need to make sure all the software you have that stores the data talks to each other and shares information. Otherwise, you will be stuck doing busy work and redundant tasks. When our applications don’t “talk” to one another and share information, we must continuously update different systems of record. We recently helped a real estate developer. They were tracking the finances for more than 50 projects manually. All 50 project managers would collect key financial data from each project. They would put it into a PDF and send it to the CFO. The CFO team would then print the PDFs and put all the data into an Excel spreadsheet. Then they would make graphs and tables to see how the projects were doing. They would do this once a month! To solve this problem, HingePoint made one simple interface where the CFO can get the data instantly. Project managers just upload information to the digital financial dashboard and the information is found immediately. The way we solved it was by integrating several systems and software to all show up one screen, like a computer screen or the screen of a smartphone. We had to have software talk to one another. Now the teams can work on more than just collecting data and the executives can spend more time on making the best decision. This is the true power of integration. Download our BIM_Comparison Table here. See where you are on to the path to BIM. The idea is to be fully digital while printing on-demand, fully automated and able to collaborate with virtually anyone on a project.